Though the lawn grass at parks and on highway dividers is most commonly recognized as grass, these plants can also include ornamental grasses that look and grow much differently than lawn grasses. Grass plant identification is a vital step in maintaining a well-kept lawn and requires a keen eye for observing the plants' traits and growing conditions. Grass plant identification can help a lawn gardener determine the best turf maintenance program for each type of grass. Identifying a type of grass plant can also reveal common problems for each type of grass, helping a gardener to better plan pest prevention and disease treatment for a lawn. Parts of a grass plant that can help identify its type include its leaves, rhizomes and stolons. Rhizomes are also called rootstocks; they extend horizontally underground to propagate the plant. Stolons are similar to rhizomes except they extend above ground. The location and growing habits of the grass can also aid in its identification. Lawn grasses comprise the familiar green carpets on golf courses, football fields and playgrounds. 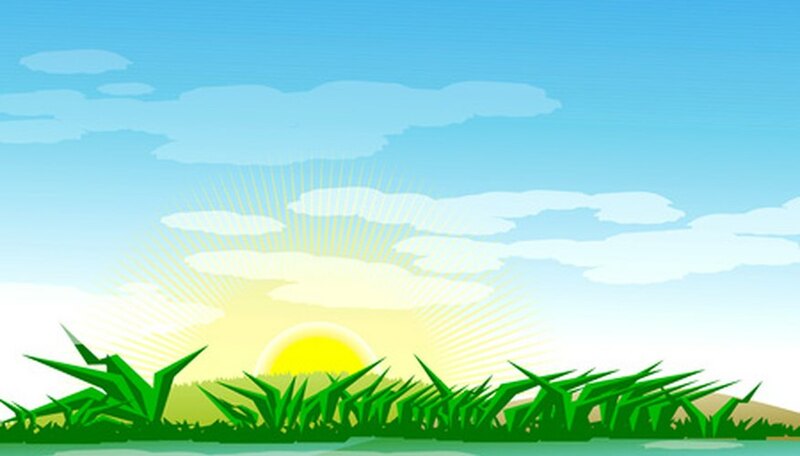 Popular types of lawn grasses include Bermuda grass, St. Augustine grass, Zoysia grass and Kentucky bluegrass. Each variety of lawn grass has strengths and weaknesses that make it more adapted to some climates than others. Bermuda grass is preferred in dryer Southern areas of the U.S. because it is tolerant to drought and can recover after a dry spell. Though it is not as drought tolerant as Bermuda grass, St. Augustine can take a greater range of temperatures, surviving hotter summers and cooler winters than Bermuda grass as long as water is available. Ornamental grasses are taller than lawn grasses and often grow in individual large plugs. Ornamental grasses do not grow in a carpet, and tend to gather in clusters and resemble fuzzy bushes. As a result, ornamental grasses do not often invade surrounding areas and can be planted in a bed with other plants without fear of it taking over the area. Types of ornamental grasses include switchgrass, ribbon grass, rabbit's tail grass and blue fescue. Some grass plants can be considered weeds if they are growing in areas where they are unwanted. Getting rid of unwanted grasses effectively requires knowledge about the type of grass and how it reproduces. Grass plants like Bermuda grass, which reproduce aggressively with rhizomes, can be pests in plant beds or lawns made of other grasses. Grasses that reproduce by stolon or rhizome tend to be more difficult to defeat than grasses that reproduce only by seed. Grass plants that have similar traits can be hard to distinguish without a trained eye. Many horticulture and botany programs at colleges and universities will help identify grass plant types. Lacking a nearby university, a landscape gardener or lawn gardener at a local sports field may be able to help identify the type of grass plants.